When making a purchasing decision, price always plays a large role. Everyone wants the best quality for the lowest price possible. However, it can be difficult to find since low prices often come at the expense of quality. How long do I expect this product to last? Can this product sustain heavy usage? Does this product have all the features I require? If you’re looking for a product to perform well and last several years under medium-to-heavy usage, then choosing a product for its quality will be the best buying decision you can make. 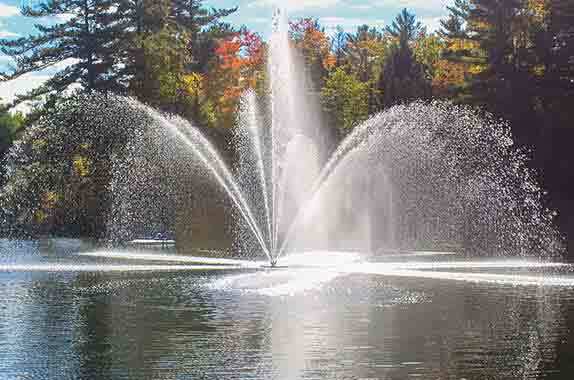 Arbrux floating fountains, pond aerators and dock de-icers are the result of quality craftsmanship and materials that meet the demands of the industry while remaining easy to install and maintain. Each product has been approved as complete units to UL and CSA standards of safety, and comes with a two-year warranty and excellent after-sales service. Low prices often come at the expense of these features. Quality materials, specifications, craftsmanship and after-sales service often suffer at the expense of a lower price tag. If you’re comfortable spending money on a product that may not perform as well or may have to be replaced early and often, than a low price may take precedence in your buying decision. However, if craftsmanship and performance are important, always be sure to choose a high quality product. You’ll more often regret the money you didn’t spend, than the money you did.